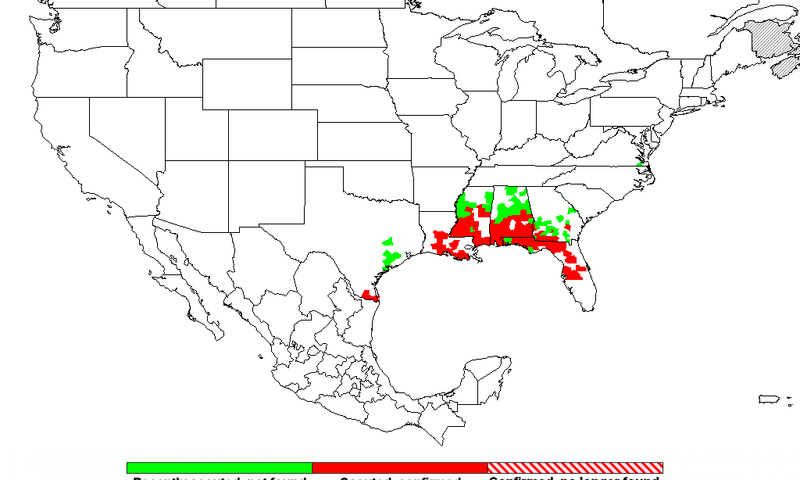 This morning, Asiatic Soybean Rust was confirmed on soybeans in Colleton County, SC. One pustule was detected on one leaf out of 50 examined. The soybeans were at stage R4 (full length pods in the top four nodes of the main stem). 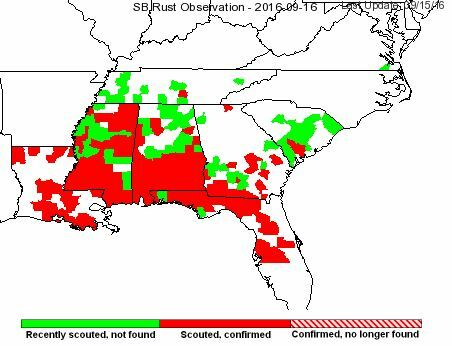 This was the first find of rust in SC so far this year. 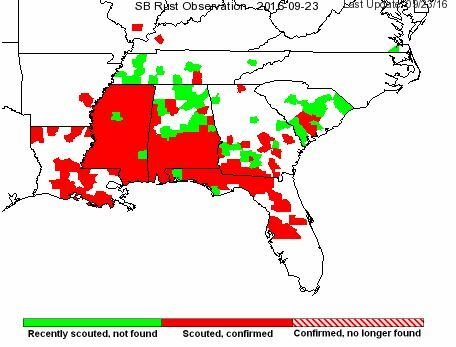 Rust was also confirmed on soybeans this week in Autauga County, AL, Dooly County, GA, and Covington, Forrest, Holmes, Jackson, Pearl River, and Stone counties, MS. The SC rust is closest to most NC soybeans, being approximately 160 miles from Charlotte, 345 miles from Elizabeth City, 180 miles from Fayetteville, 250 miles from Murphy, 230 miles from Raleigh, 280 miles from Washington, 180 miles from Wilmington, and 225 miles from Winston-Salem, NC. The Dooly County, GA find is closest to Murphy, at 205 miles. 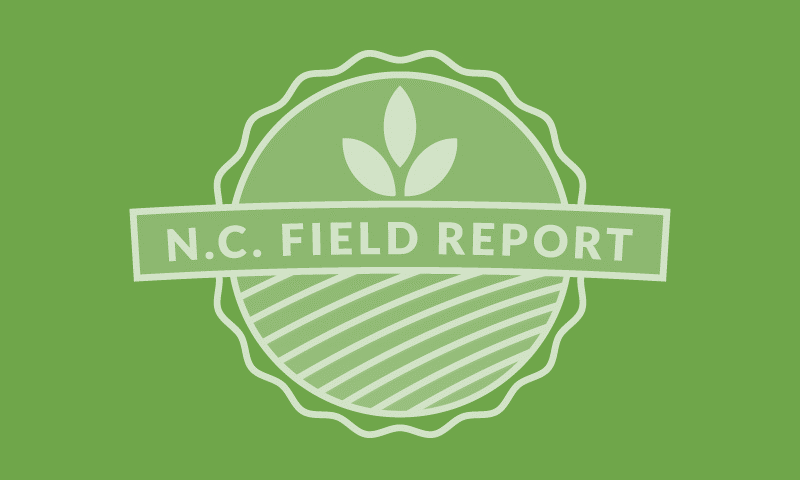 We still consider our earlier recommendation to not spray soybeans that have not started blooming, or blooming soybeans that are more than 100 miles from confirmed presence of rust on soybeans to be a valid recommendation for most soybeans in NC. We do not recommend spraying for rust after stage R6 (full-sized beans in the top four nodes), since soybeans this mature will probably drop their leaves naturally before rust will cause many to drop prematurely. Check the label on the fungicide you prefer to use to see how late in the season that chemical may be sprayed. 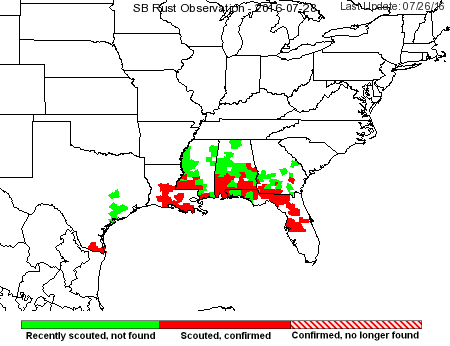 The current status of rust in the continental US can be found anytime at http://sbr.ipmpipe.org.